I have provided numerous links to articles warning of the coming of a cashless society. Beginning in the late 1960s the U.S. abolished the $500 bill (which featured President William McKinley). As recently as 2016, Europe abolished the 500 euro note. India abolished its two most popular forms of paper money, also in 2016. Australia is considering abolishing its $100 bill. Payments are now usually made in cashless form by credit card, debit card, direct transfer or using other payments systems such as PayPal, Apple Pay and Venmo, all of which are completely digital. Cash is more and more of a curiosity. Central banks and governments are encouraging this trend as they prepare to impose negative interest rates and freeze bank accounts in the next financial crisis. Cash is a way to avoid both negative rates and account freezes, so governments are moving quickly to eliminate cash. Nowhere was the trend toward a cashless society more advanced than in Sweden. 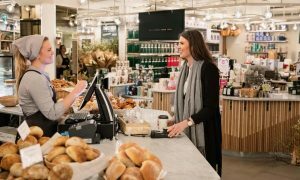 Merchants in Sweden began to refuse cash for small purchases even though the government did not require them to do so. As cash usage dries up, the cost of handling each bank note goes up because there are fewer notes in circulation to spread the costs of secure logistics such as vaults, guards and armored cars. Cash in Sweden was approaching a tipping point and almost disappeared altogether. Now, as this article shows, a healthy backlash has set in. Citizens and politicians are asking prudent questions such as: What happens to a digital payments system when the power grid goes down? How vulnerable is a digital payments system to Russian hackers or other forms of malicious attacks? The answers are not very satisfying or reassuring. Cash is making a comeback as citizens realize it cannot be hacked, erased or frozen. Maybe there’s some hope for common sense. Of course, if you’re really concerned about attacks on money, the best protection is not cash but gold.